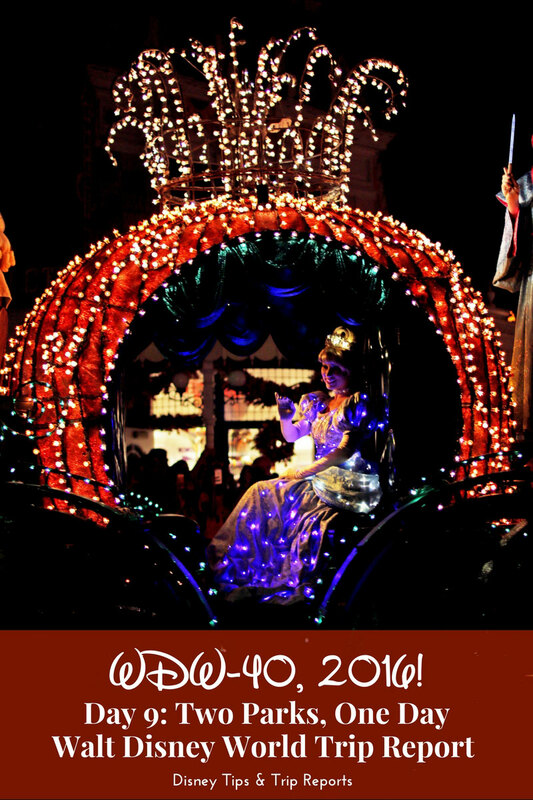 Day 9 of WDW-40, the latest of my Disney Trip Reports, is here! 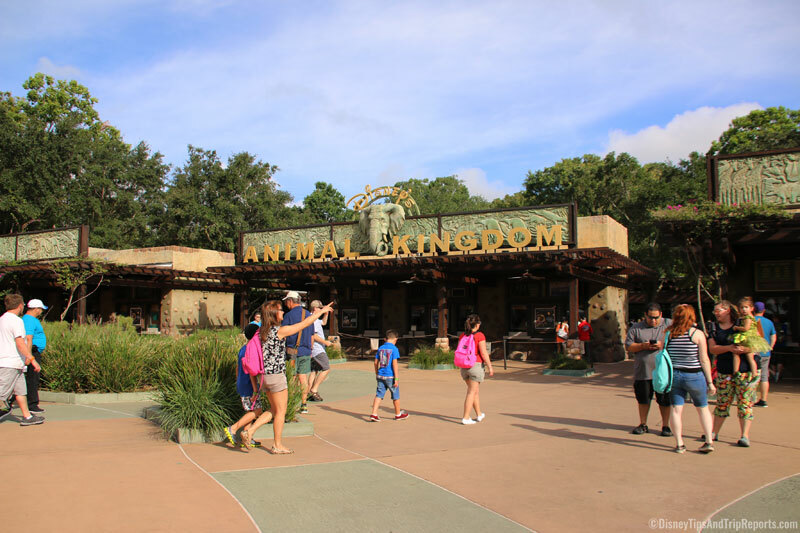 Today we visited two Disney parks in one day – Animal Kingdom, where we had lunch at the new Tiffin’s restaurant; and Magic Kingdom to watch Disney’s Main Street Electrical Parade. Not quite the four parks in one day we did back in 2013, but it’s a start! 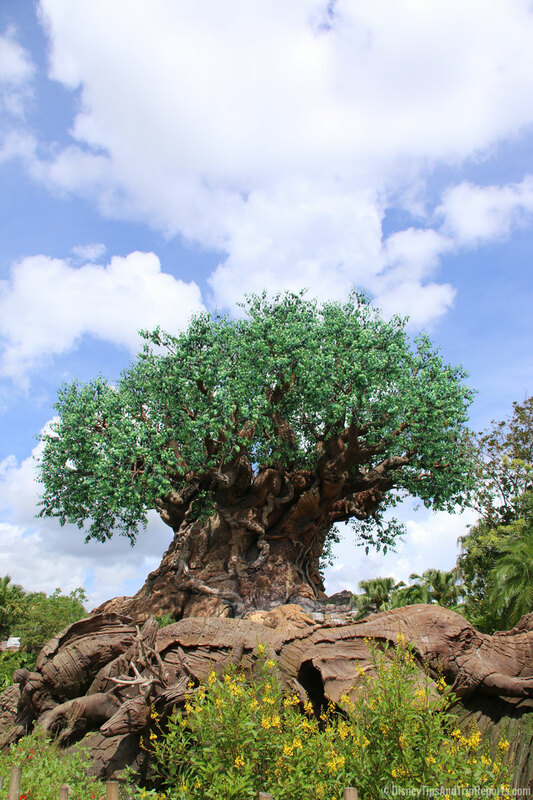 We arrived at Animal Kingdom bright and early – excited to finally be able to visit a Disney Park! Because of the length of our stay, we bought 21 day tickets for this trip, and we wanted to use them on our last day in Orlando, we had to activate them a few days in. (Hopefully that makes sense!) 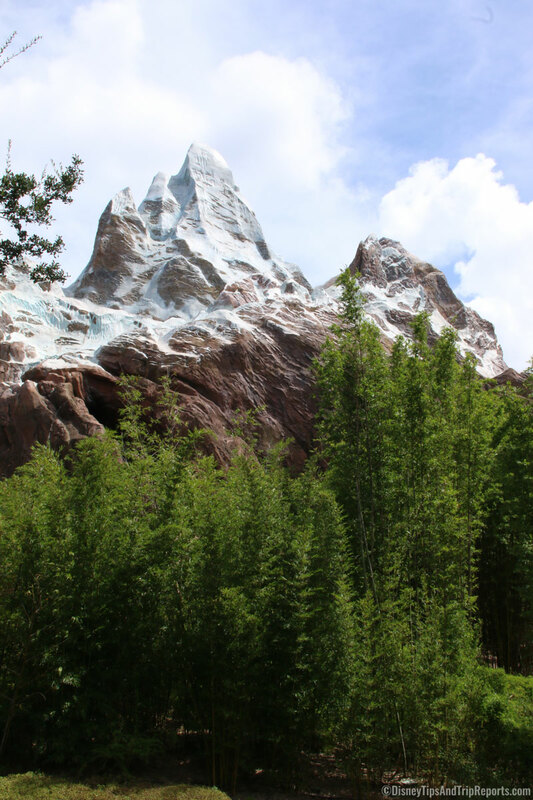 It was hard being at a Disney Resort and knowing that the parks were so close, yet so far away! As with all the parks now, there was extra security to be “selected” for. Steve was picked nearly every time to go through the metal detector and empty out his pockets. I know security has been beefed up, but this way of doing things seems a bit half-arsed in my opinion. Just metal detect everyone as they go in. – they do this at Universal, and it is a very quick process. But anyway, this is what it looked like when we visited – a gazebo with some extra security staff. Perhaps a more permanent solution will arrive at the parks in the coming months/years. Don’t forget to pick up a map and times guide too! 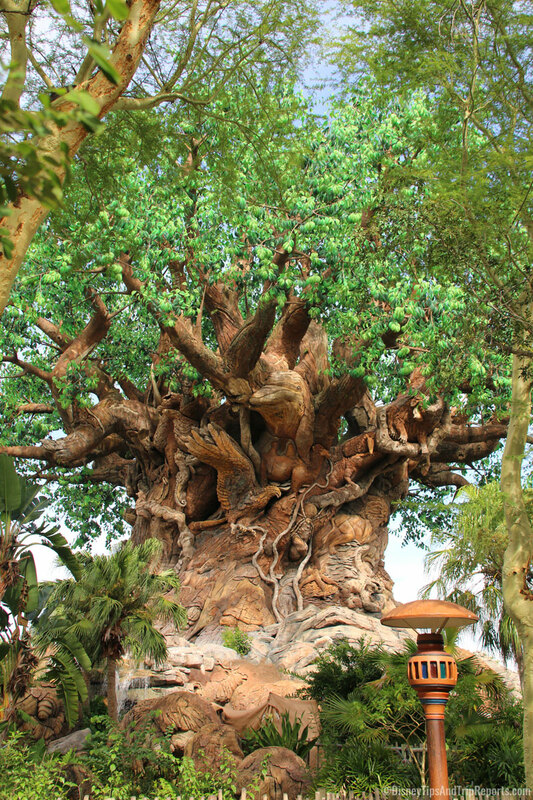 It was fab to see the Tree of Life in all its glory after our last visit had hoardings around it. I am sure there were some new carvings around it too. Had a few Disney PhotoPass / Memory Maker pics taken in front of the Tree, and then off we went to It’s Tough To Be A Bug which is always fun! It’s not fun though for some kids – there are some quite frightening parts, where the theatre gets plunged into darkness, is filled with smoke, and you are “attacked” by the bad bugs. It’s at this point quite a lot of kids start screaming and crying, and parents are quickly exiting. I really do think that there needs to be a much stronger warning for parents for this attraction! It’s Tough To Be A Bug is a 3D film about the life of bugs – it’s not an extended thing from the movie a bug’s life; but it is presented by Flik, and Hopper makes an appearance too. It teaches you about the different kinds of bugs there are in the world and the role that they have. You take a pair of “Bug Eyes” (3D glasses) to wear, and as well as the 3D film on the screen, there are also audio-animatronics, lighting affects, smoke, and things dropping from the ceiling. I’ve already mentioned how some kids do get scared on this ride, and I can understand why. If you have children with sensory issues, or very young children this might be one to miss out – or – go and have a watch of it first before taking the kids down. 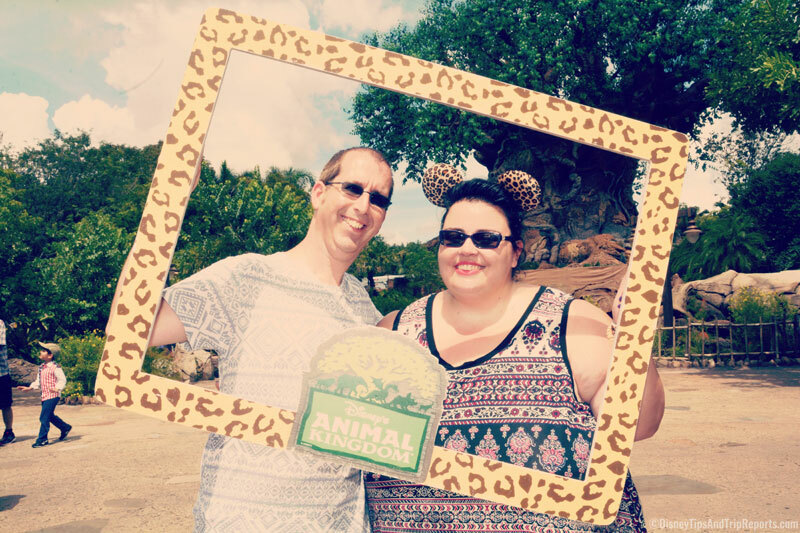 Usually, when visiting Animal Kingdom, we head straight into Africa for breakfast at Tusker House, and a trip on Kilimanjaro Safaris, but that was for another day, when my brother and his girlfriend arrived. This visit we made a beeline for Asia. On the bridge, we passed King Louie and Baloo from Jungle Book on their way to/from a Meet & Greet – they are awesome to meet! We stopped by the Warung Outpost to grab a drink, and finally bought the Ocarina Mug that I wanted to get last year! I do love me a souvenir mug! 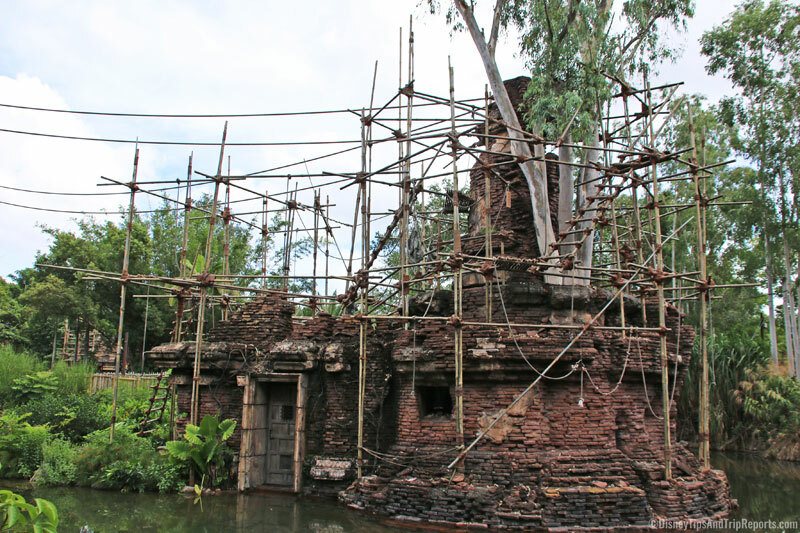 We had a wander over to see the new Rivers of Light area, which looked huge – we were so gutted that they still hadn’t opened the show during our trip. I am hoping that it will be open for our next trip to Orlando. We were essentially killing some time in the general area, waiting for the start of the next Flights of Wonder bird show. 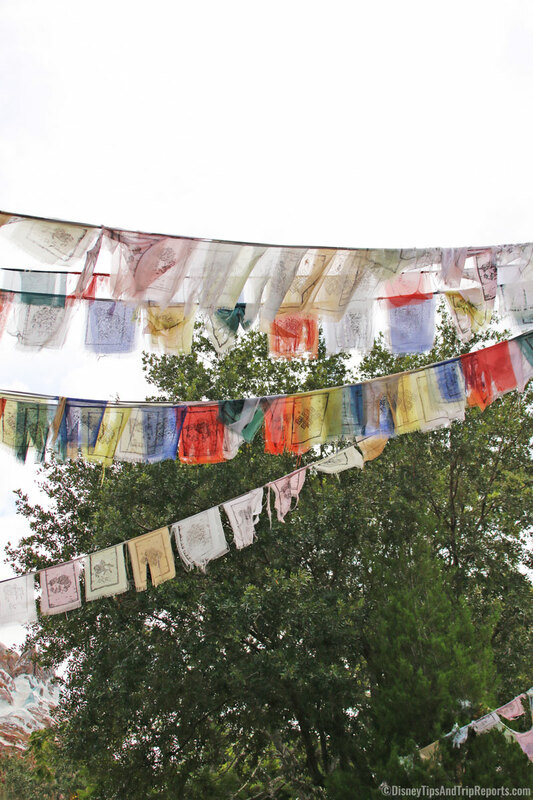 I saw a documentary a few weeks ago about the Himalayas, and saw all the flags flapping in the wind – they are exactly the same at Animal Kingdom – the attention to detail here from the Disney Imagineers is amazing. 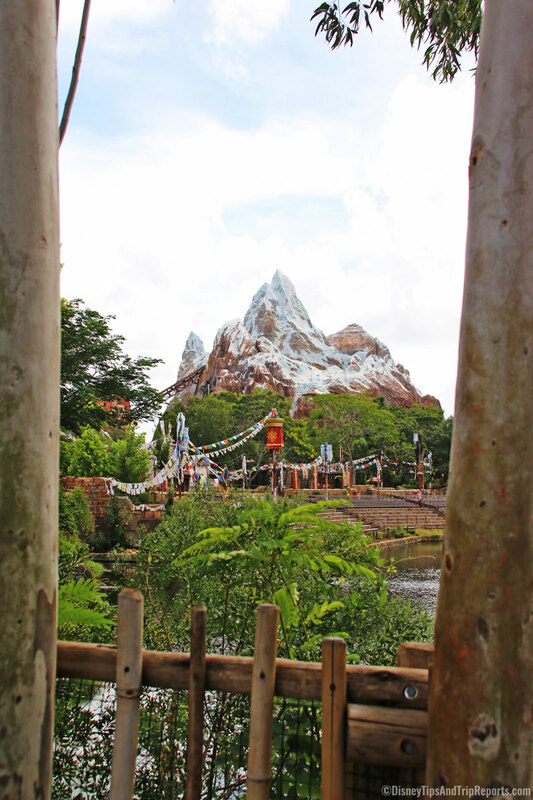 I think Asia is my favourite part of the whole park. 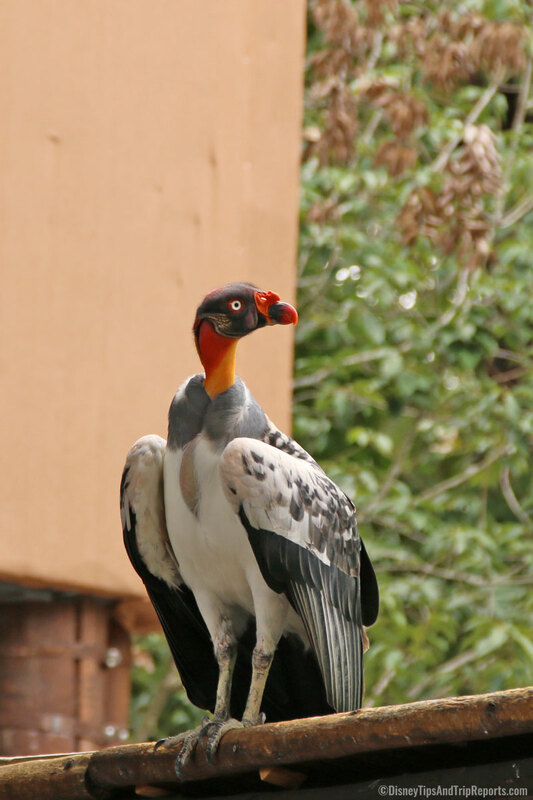 Flights of Wonder is an exotic bird show, and something which we have never seen before. The show is performed in an open air theatre (it is shaded, but there isn’t air-con!) and the entertaining and informative show is 25 minutes long. Check the times guide for the daily showings. Before the show starts, just outside the theatre is a stand where a trainer brings out a bird and does a bit of a show and tell on it. 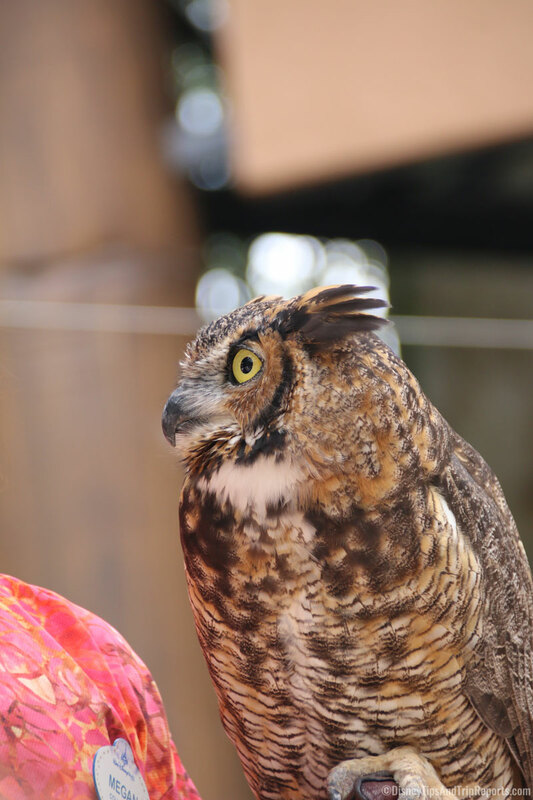 It was a species of owl when we were there. The ruins from the Maharajah’s rule is now the sanctuary for all the exotic birds, and it’s from the Caravan Stage that the bird trainer, with the “help” from Guano Joe (or Jane) introduces you to the fascinating natural behaviours and often humorous talents of at least 20 species of exotic birds. Some birds perform their antics onstage, and some swoop over the audience. We thought the show was wonderful, and well worth going to see. 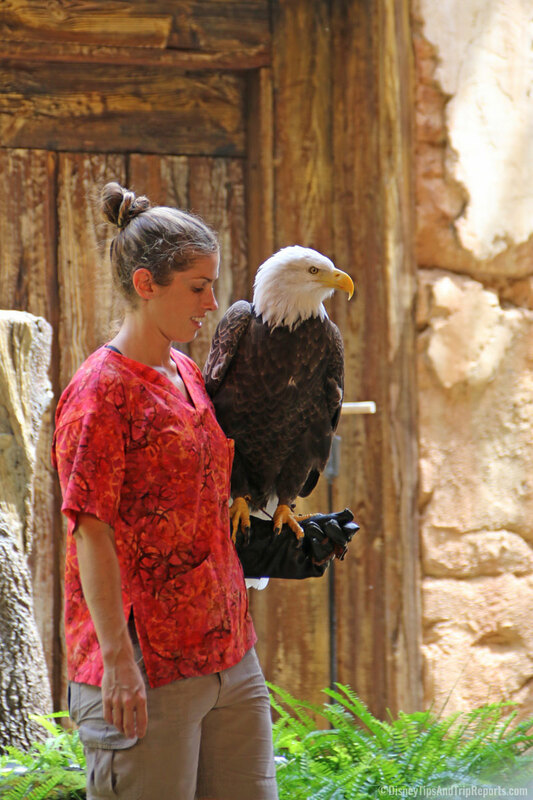 The talking parrot was hilarious, and the size of some of the birds – including the American Bald Eagle at the end was a sight to see! 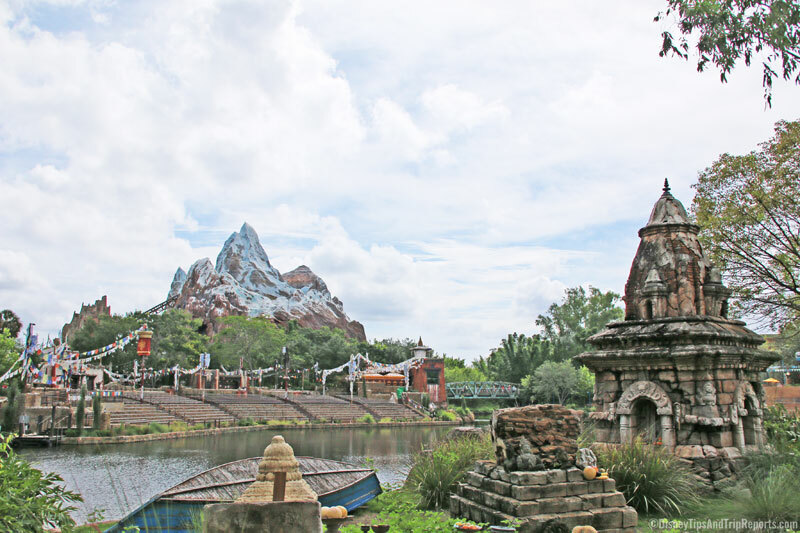 We continued round further into Asia, stopped to watch people on Expedition Everest – still haven’t been on it, but Steve and my brother did on a return visit to Animal Kingdom! Then through Dinoland USA, into Discovery Island and round towards Tiffins for our Advanced Dining Reservation.